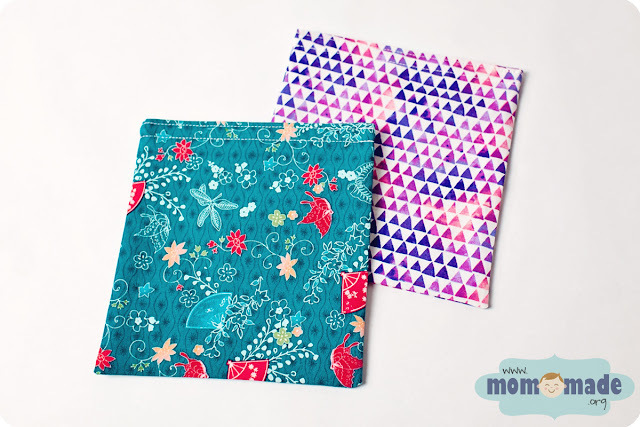 Mom-Made's popular Snack Bags are eco-friendly, reusable, and washable! Lined with white nylon, these secure with a Velcro strip and are a great, "green" replacement for Ziploc baggies. Perfect for toddler snacks, school lunches, and much more. Available in two sizes (large - sandwich bag size, small - snack bag size). Washing Instructions: Wipe clean lining with a damp cloth or occasionally machine wash (making sure Velcro is closed) on delicate cycle, hang dry. 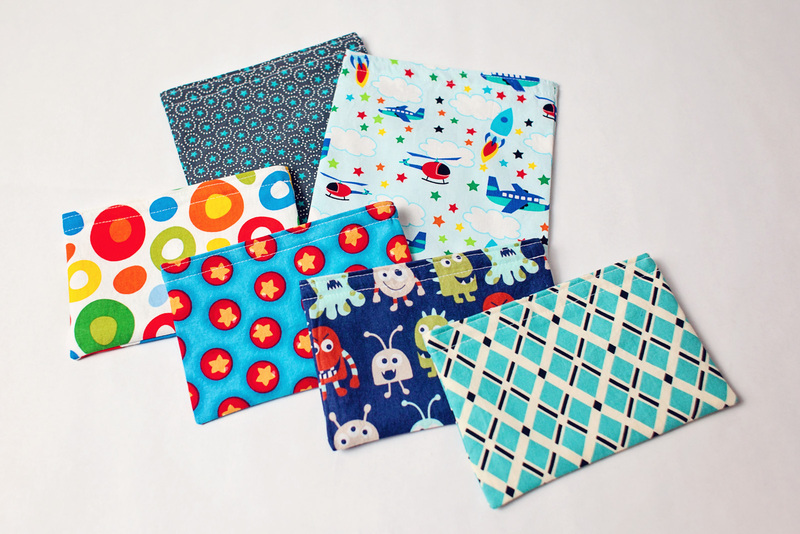 "I recently had some snack bags made by Sarah so I could quit using throw away baggies. 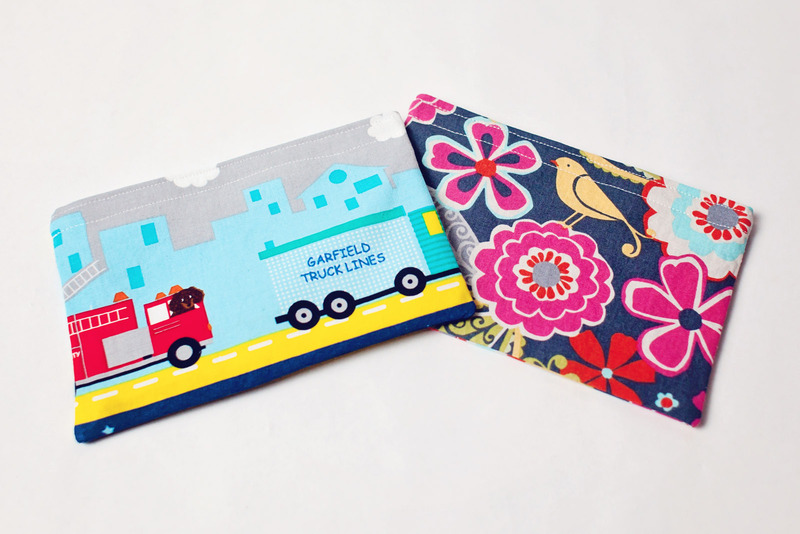 Sarah took my order, she would text me fabric samples and had them done and mailed to be within 10 days. They are perfect! Thank you Sarah!" 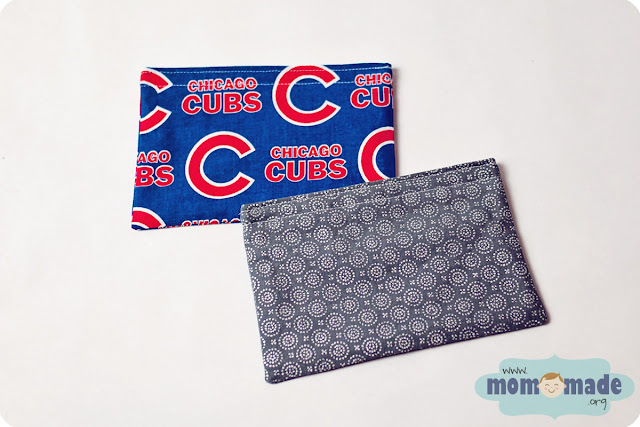 "We love our reusable snack bags from Mom-Made!! Seriously, she makes the best kid friendly (and mom friendly) products. If you haven't ordered from her yet, you're missing out!" "Thanks Sarah!!! Love what you do! My nephew and sister loved the Star Wars snack bags!!!!! He wanted to carry them around and out his little Lego men in them rather then use for food! 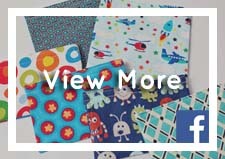 heehee"
"I ordered reusable snack bags. I've been wanting some for quite sometime and they arrived today. I couldn't be happier with the craftsmanship on them. They look fantastic and the kids can't wait to start using them." 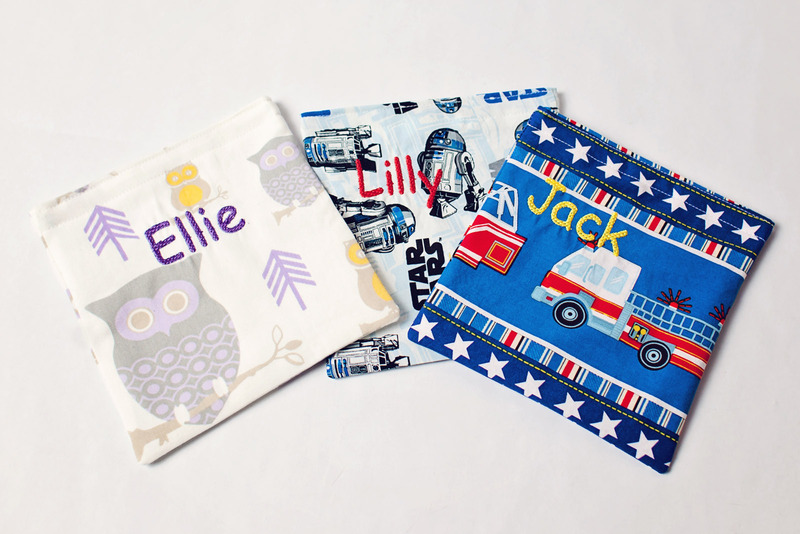 "Sarah has made my girls the reusable velcro snack bags and they love taking them in their lunches for school. Thanks so much, Sarah!!"